Today we have a wonderful giveaway of TWO HARDCOVER books from Apple Gidley. 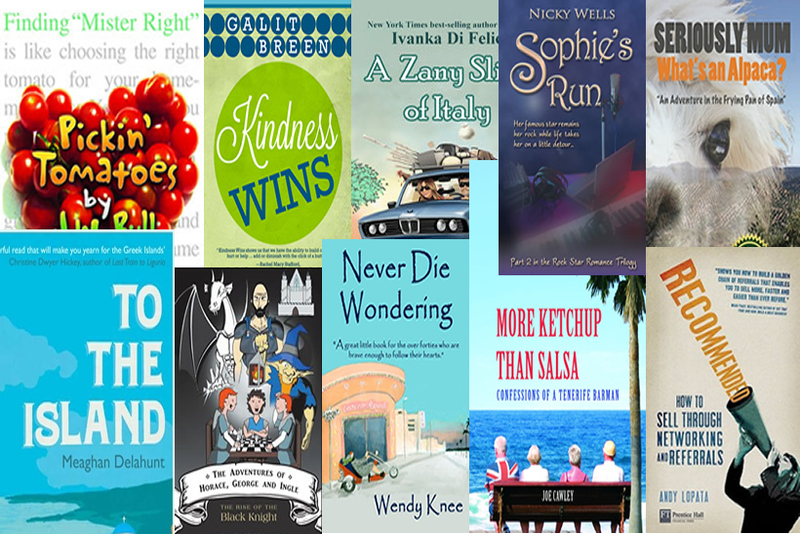 Apple is the author of Expat Life Slice by Slice, a wonderful memoir of life in the expat fast lane. She is an Anglo-Australian known to thousands as ExpatApple thanks to her popular blog at the Daily Telegraph who truly believes that to be a true global nomad we have to be actively engaged in wherever we call home. 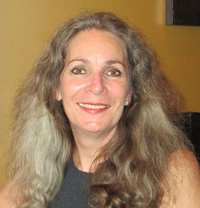 Currently, Apple is based in Houston, Texas where she joins us for this weeks Thursday Throng author interview. To be in with a chance of winning one of the TWO HARDCOVER COPIES Apple is giving away, just leave a comment at the end of the post. I must admit that this book appealed to me on more than one level. On the first level I hoped that it would provide for my enjoyment of ‘stay-at-home travel guide’, the genre of book that allows us a glimpse into the life of those who live abroad. On the second level I hoped it might give me a glimpse of my mother, as she too had been an ‘expat brat’, born and brought up in India just before the 2nd World War. I was richly rewarded in both cases. Apple’s book is a wonderful sensory delight, opening our eyes, ears and noses to the very different communities and cultures she finds herself in over the years. The humour and insight she brings to the journey she shares with the reader is a highlight of the book. I’d highly recommend this book to every reader. That is actually quite a difficult question to answer considering ‘Expat Life Slice by Slice’ is autobiographical. Oh yes I know! I was tossed onto an oval bed on the Niall Theatre stage in Lae, Papua New Guinea, for five nights by a lovely man called Tom Hall when I played Mrs Markham in ‘Move Over Mrs Markham’, a bedroom farce by Ray Cooney and John Chapman. I wrote a blog about the importance of compromise and openness to different religions and cultures a couple of years ago that caused a certain amount of consternation in some circles – one of the comments was particularly vitriolic. The comment, in essence, suggested I was in the pay of Muslim fundamentalists. My husband who happened to be away at the time responded over the telephone with the words, “Would that you were paid by anyone?” His comment helped me get over my indignation and made me laugh! My first book was a memoir so most of the names used were real. However now I am writing a novel and yes, I have found the names chosen are important. They have taken on a life of their own and sometimes I find myself waking up thinking of something that Caro has said, or I’m wandering through a museum and I see a piece of fabric or art that I know Jenny would like. It is a little unnerving actually. 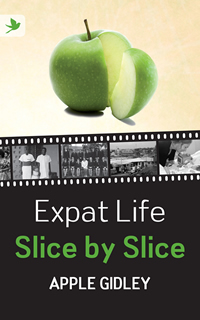 ‘Expat Life Slice by Slice’ is an obvious play on my name, which amused me and seems to have made others smile too. My novel, which has a working title of ‘The Sparrows’, was an easy choice as it is about four women who play Mah Jong together for many years – twittering of the sparrows being the name given to shuffling the tiles. No not naked – but I am happiest when I’m not wearing much. I live in a sarong and cami most days – which is why I couldn’t possibly live in a cold climate again! No idea about me. But a book that has been bubbling for many years is one based on my mother, who was an Australian army nurse during World War II and then nursed in the jungles of Pahang in Malaya during ‘the emergency’ of the 1950s. I would love Nicole Kidman to play her. They are the same build and whilst Ms. Kidman is probably more beautiful than my mother ever was, I think she would do my mother’s life justice. I have learnt that for me there is no special formula, no special place. I am horribly disorganised and just write what I feel like writing which is why I normally have a couple of things on the go at the same time. I don’t write a plot plan though I have garbled notes that I jot down as I think of incidences, phrases or feelings my characters might have. And I am learning to accept that some days the words just do not come, and that’s okay. I take a break and don’t force the issue and the next day they flow. But I do try and write something every day. No I’m not jealous but I am in awe of many whose work I admire. People like Geraldine Brooks, who wrote ‘People of the Book’ for example, or humourists like David Sedaris who can make me snigger in a most unladylike manner. Ryzsard Kapuscinski, a Polish journalist who wrote wonderfully about Africa inspires me with his observations and ability to put me right where he writes about. That’s a fantastic skill. And of course Pico Iyer for his wonderful insights. I went to boarding school when I was ten. It helped me realise I could manage on my own and taught me resilience and tolerance; and early on that compromise does not mean acquiescence. I’m still working on the lesson about patience! Depends on the time of day. Coffee in the morning, tea in the afternoon and if I’m working late at night I will often have a glass of wine – preferably a New Zealand Sauvignon Blanc, though the other night I finished off a rather nice bottle of champagne, but that was treat! Where can I find Apple online and buy her book? You can buy EXPAT LIFE: SLICE BY SLICE from Amazon in the UK and in the US and you’ll find my review on both of these sites and on Goodreads as well. Thanks Linda – the questions were fun to answer, and I’ve changed the title of my next book to “The Twittering of Sparrows” – coming soon, I hope. 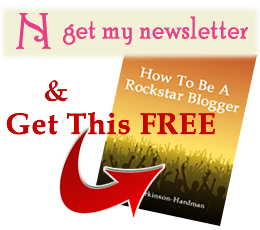 I enjoy reading interviews with authors! I’ve had the privilege of meeting Apple in real life and hearing her talk about this book. Like Apple I grew up abroad. I am so glad that there are people like Apple telling theorie story :). I loved the interview and how the author chose the name for the book is very interesting :). Also I used to play Mahjong before.